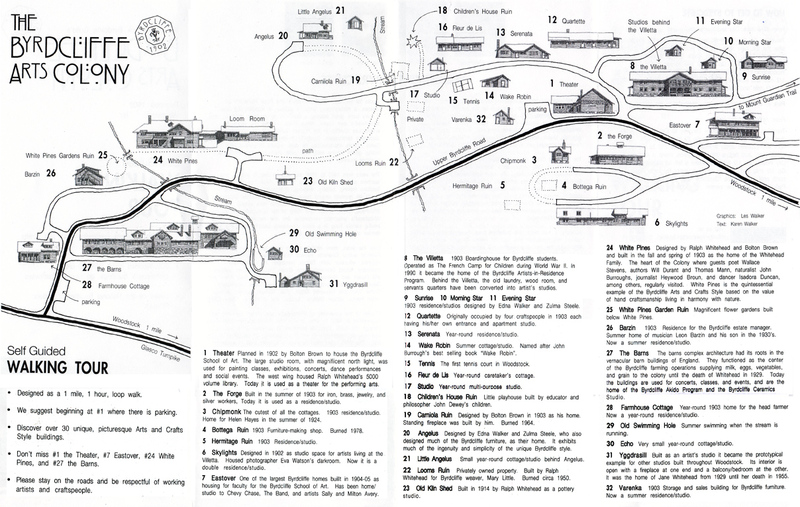 Artists spend 5 months living independently and working in simple wood Arts & Crafts style houses, all constructed between 1902 and 1903 as part of the original Byrdcliffe Art Colony. Most cottages have on-site studios and are located in close proximity to the 4-week residency buildings. Participating artists are invited to take part in a number of activities offered in the AiR program, including up to two Open Studio events held over the course of the summer. Seasonal artists do not automatically participate in the Visiting Artist series or workshares organized by the 4-week AiR Program, but if possible this can be accommodated. Visual artists and craftspeople in all media, writers, musicians, composers, architects, filmmakers, actors, and artists in other disciplines are invited to apply. There is limited availability for weaving and ceramics in this program. Barzin: 1903 residence/studio, inhabited in the 1930s by conductor Léon Barzin, one of the founders of the New York City Ballet. 5-month residency suitable for 1-2 people or a couple depending on individual needs. 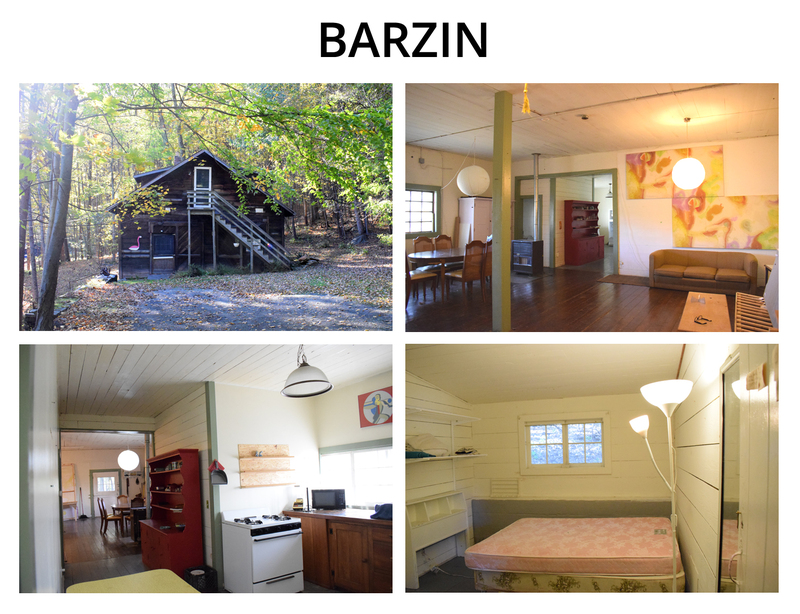 Click here for Barzin photos! Chipmunk: 1903 residence/studio. Actress Helen Hayes lived here in the summer of 1924. 5-month residency suitable for one person or a couple depending on individual needs. See floor plan to determine suitability. 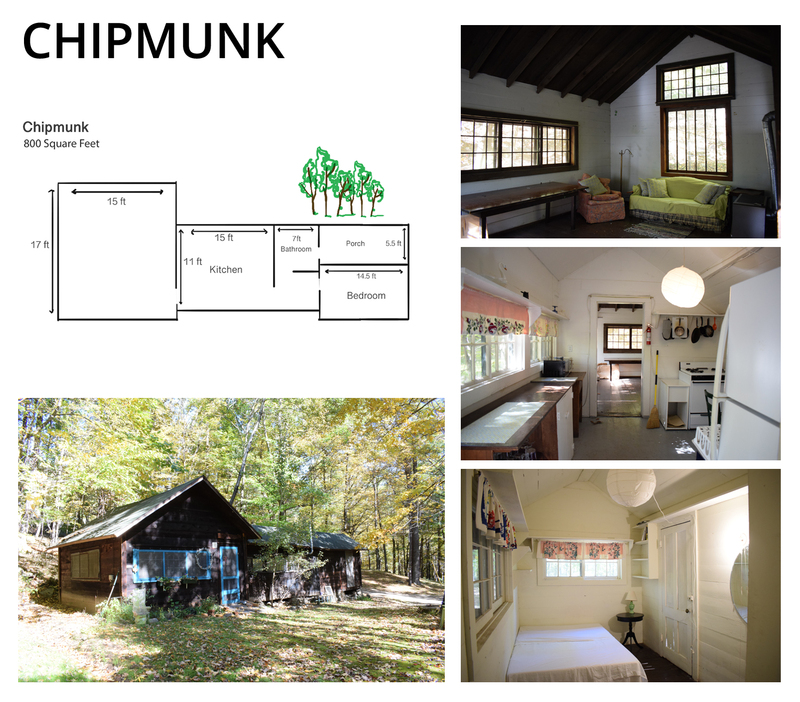 Click here for Chipmunk photos and floor plan! Evening Star: 1903 residence/studio designed by Zulma Steele and Edna Walker, two of Byrdcliffe’s most active furniture designers. 5-month residency suitable for one person or a couple depending on individual needs. See floor plan to determine suitability. 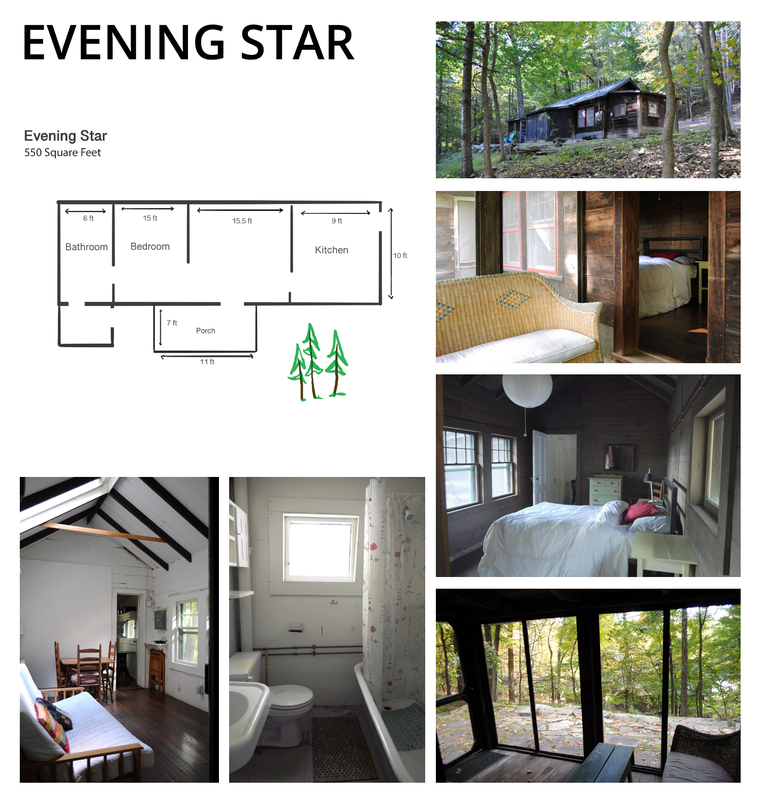 Click here for Evening Star photos and floor plan! Morning Star: 1903 residence/studio designed by Zulma Steele and Edna Walker, two of Byrdcliffe’s most active furniture designers. 5-month residency suitable for one person or a couple depending on individual needs. See floor plan to determine suitability. 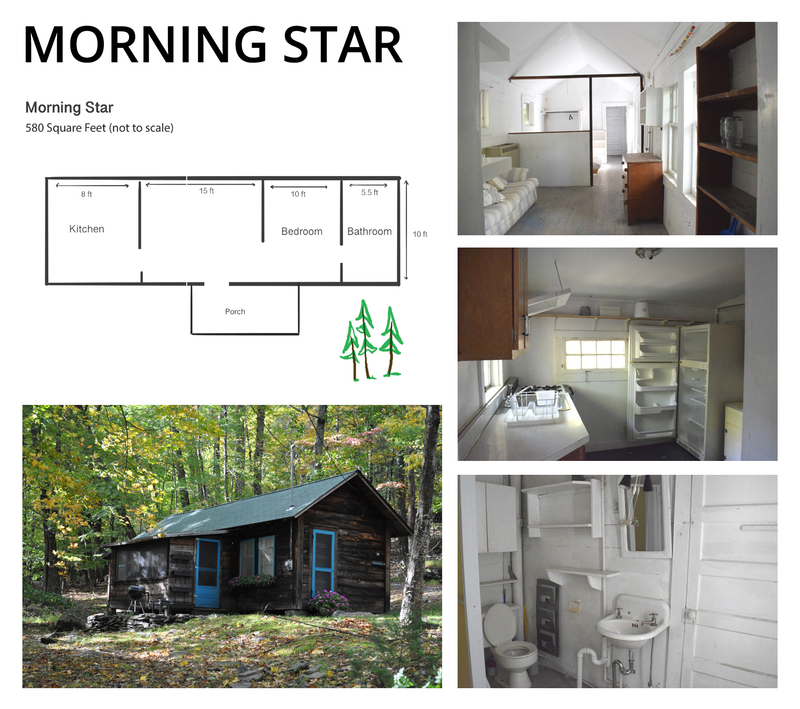 Click here for Morning Star photos and floor plan! Quartette: Built in 1903 to house four craftspeople, each with his or her own studio/living space and entrance. 5-month residency suitable for one person or a couple depending on individual needs. See floor plan to determine suitability. 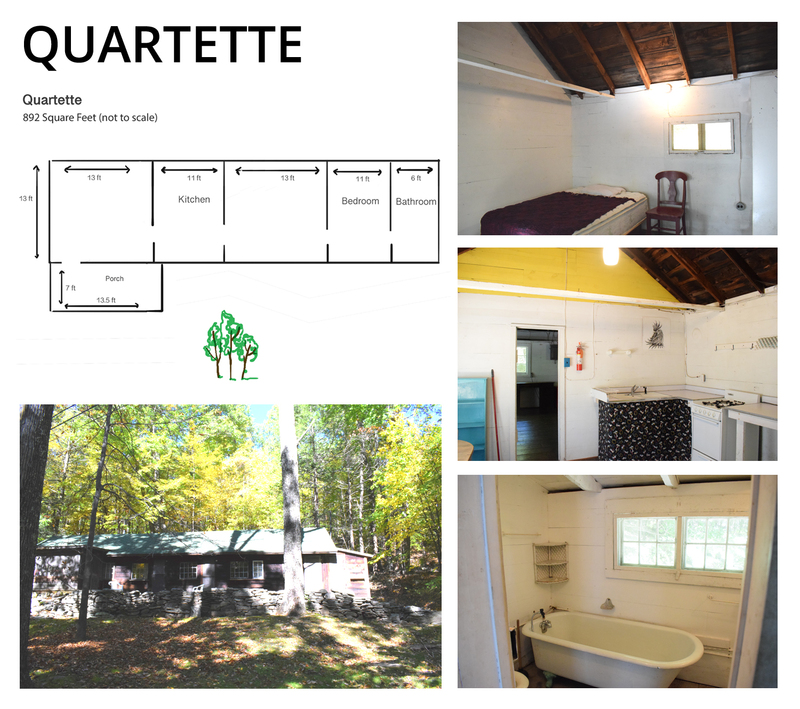 Click here for Quartette photos and floor plan! Skylights East & West: Originally designed in 1902 as studio spaces for artists living in the Villetta, then housed the darkroom of photographer Eva Watson-Schütze. These two private residences/studios share one wall in the center of the building with no access between them. Each of the two distinct spaces provides a 5-month residency suitable for one person or a couple depending on individual needs. See floor plan to determine suitability. 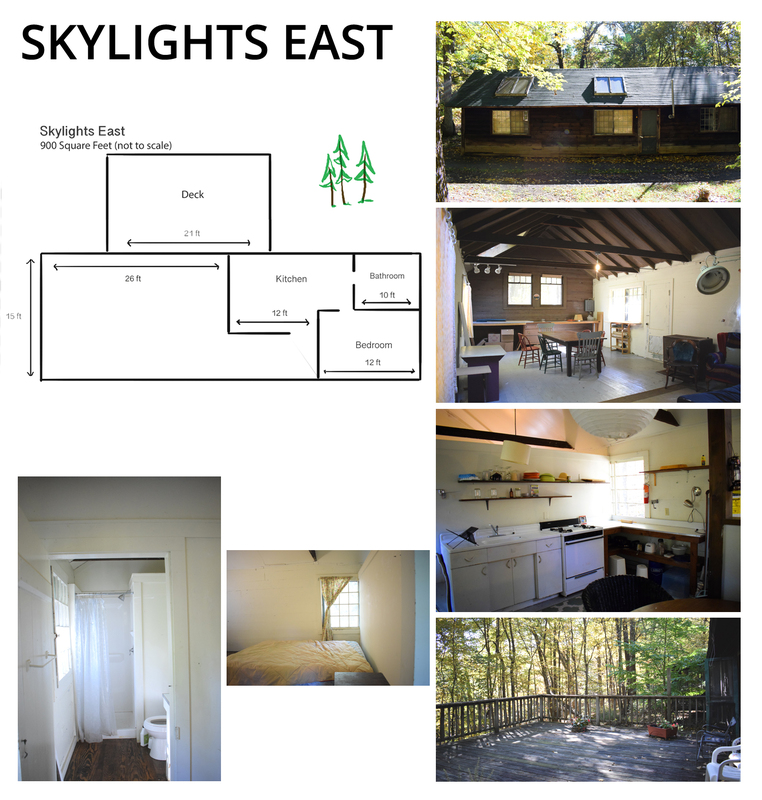 Click here for Skylights East photos and floor plan! 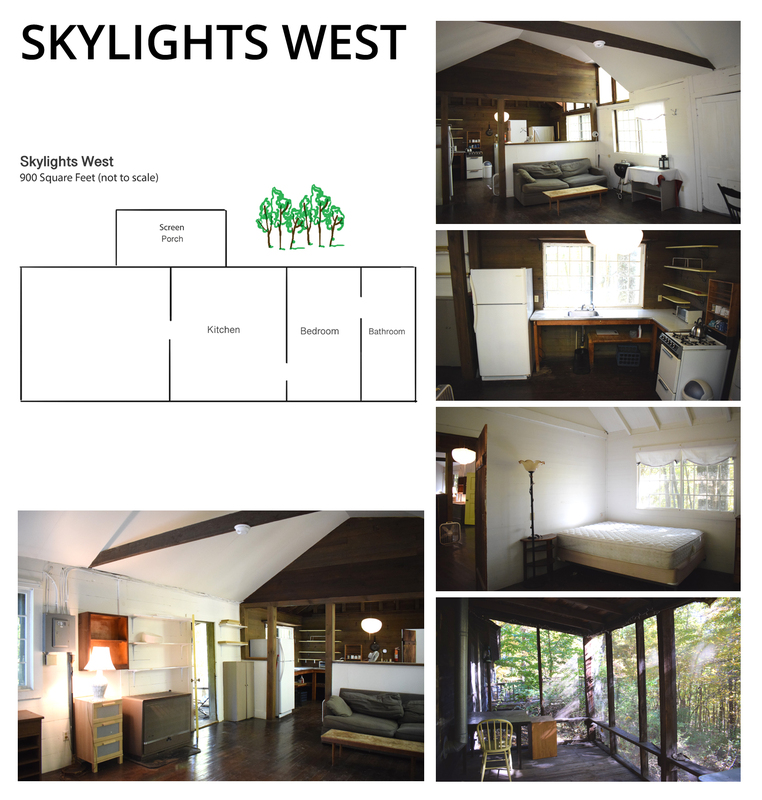 Click here for Skylights West photos and floor plan! Sunrise: 1903 residence/studio designed by Zulma Steele and Edna Walker, two of Byrdcliffe’s most active furniture designers. 5-month residency suitable for 1-2 people or a couple depending on individual needs. See floor plan to determine suitability. 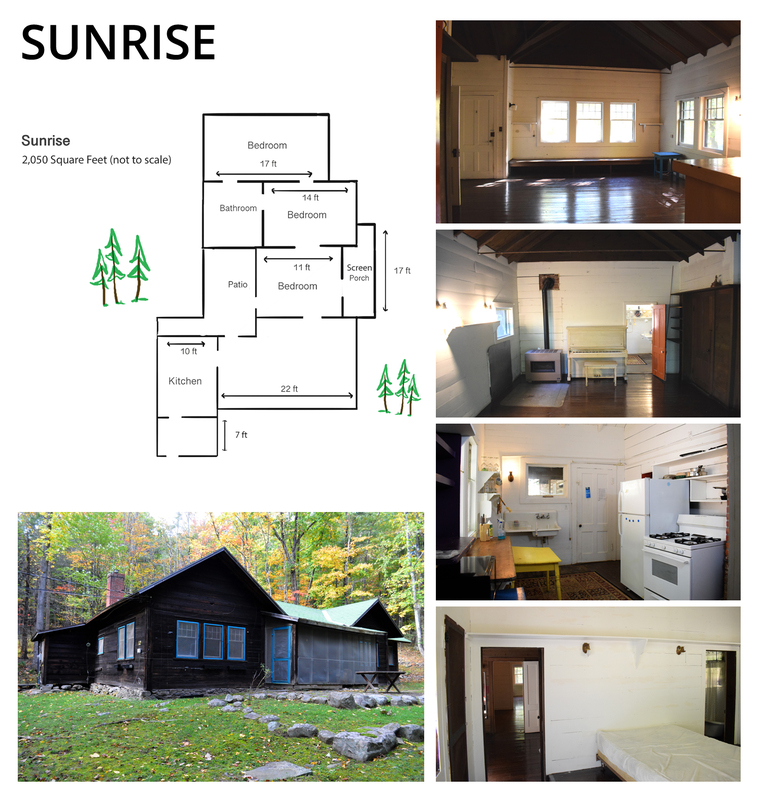 Click here for Sunrise photos and floor plan!